On this 14th anniversary of the 9/11 attacks on U.S. soil by jihadi forces, it is right that we honor our war dead and commit ourselves to defeating those primarily responsible, including the government of Iran. 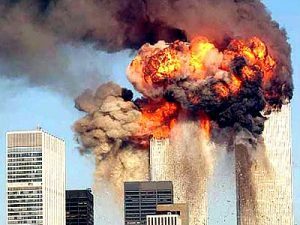 As detailed in the 9/11 report, the recent civil court case in which victims’ families are seeking damages from the government of Iran for 9/11, as well as numerous other reports from intelligence sources around the world, the evidence on the table is that Iran supported Al Qaeda in its preparation and execution of the 9/11 attacks. Iran also continues to be the largest financial supporter of the Muslim Brotherhood’s Hamas terrorist group. This should be of no surprise since the U.S. government determined the Iranian government was responsible for the 1996 bombings of the Khobar Towers complex in Dharan, Saudi Arabia which killed 19 U.S. military service personnel. Yet, none of this seems to matter to our current administration which calls Iran a “good faith partner” in the current negotiations surrounding the Joint Comprehensive Agreement. The U.S. intelligence community revealed senior Hizbollah leader Imad Mughniyeh worked directly with Al Qaeda operatives prior to 9/11. Al Qaeda leaders like Khalid Sheikh Mohammed actually lived in Iran with his family for periods of time. Hizbollah and the Iranian Revolutionary Guard Corps (IRGC) are arms of the Iranian government. They are jihadi organizations directly supported and lead by the leadership of Iran. There is no question about this. The Iranian government has a clear and consistent doctrine – stated in their Constitution – of spreading Islamic rule across the planet and hating the United States. Yet, American government leaders, including the President of the United States, continue down the path of negotiating with Iran to ensure it has access to more money and materials to support the Iranian Revolutionary Guard Corps and Hizbollah, as well as its nuclear weapons program. The souls of the victims of 9/11, and all of our men and women who fought and gave their lives overseas in the wars against the jihadis, cry out for real justice. If it is to be had, real leaders in America must – for once since 9/11 – actually focus on the two nation states on the planet which are driving the global jihadi train including Iran. We should be obliterating the Iranian government, not talking with them. Thank you for your fine work, John. May the Lord continue to guide, protect and bless you.